I’m appearing at an event in Melbourne. It’s a wine and cheese night where teachers, librarians and other interested grown-up can have us childrens’ authors to themselves. We’ll be talking about our latest books and chatting over a drink afterwards. I don’t often get down to Melbourne, so if you can come along I’d love to see you there. 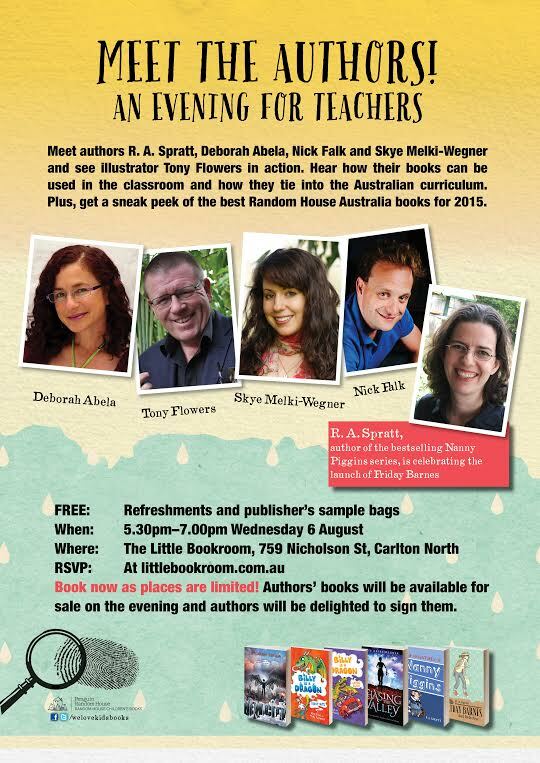 RSVP to littlebookroom.com.au to ensure your place.